En Chordais, with operating base Thessaloniki, is without a doubt one of the most exciting music ensembles of Greece. 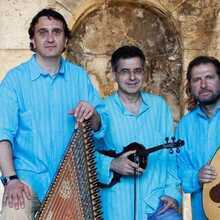 The ensemble brings a beautiful and at times academic palette of the rich musical traditions of the Eastern Mediterranean. 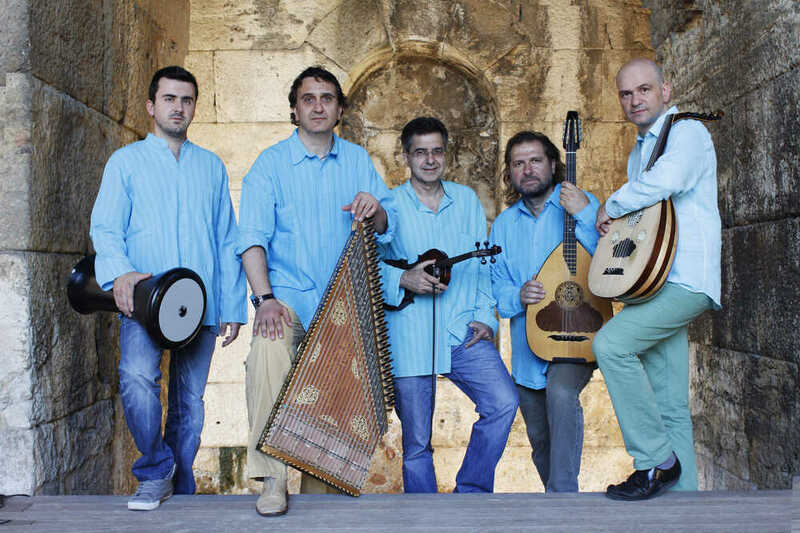 The repertory includes an ancient musical heritage, with which the old Byzantine musical tradition is linked to more recent Greek musical traditions( like the rebetiko) and contemporary own compositions. 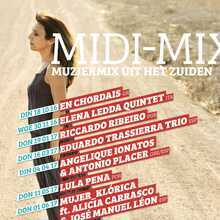 This way En Chordais presents a specially interesting musical mosaic that covers over 8 centuries. The result is an almost timeless dialogue between different cultures and time areas. 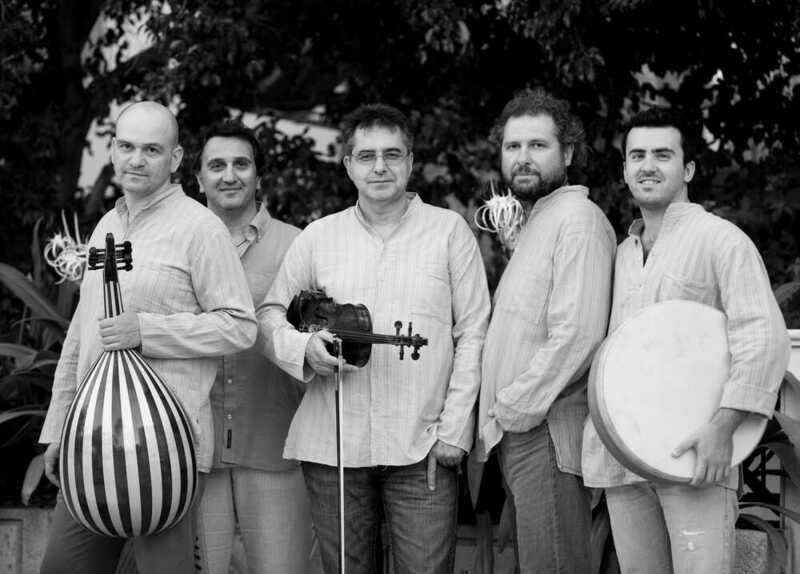 The ensemble is, under the charge of artistic leader and ud player Kyriakos Kalaitzides, connected to the eponymous respected music organization from Thessaloniki, which among other houses a (Byzantine) music school, music publisher, and a recording studio – annex record label. With their extensive repertory and their whimsical, vivid stage presence, the ensemble reaped worldwide rave reviews with over (900!) concerts in the most respected venues. 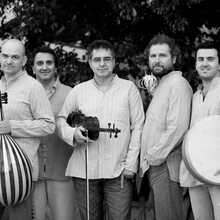 The group also collaborated with top musicians from Greece and the rest of Europe, the Arabic world, Iran, Turkey, Israel, China, and Canada. “A score of Byzantine music arranged and performed by the Greek ensemble En Chordais will soak into your system and stay there”. (The New York Times). Amateurs of strong music from the South of Europe can opt for a seasonal ticket during the season 2016 – 2017. 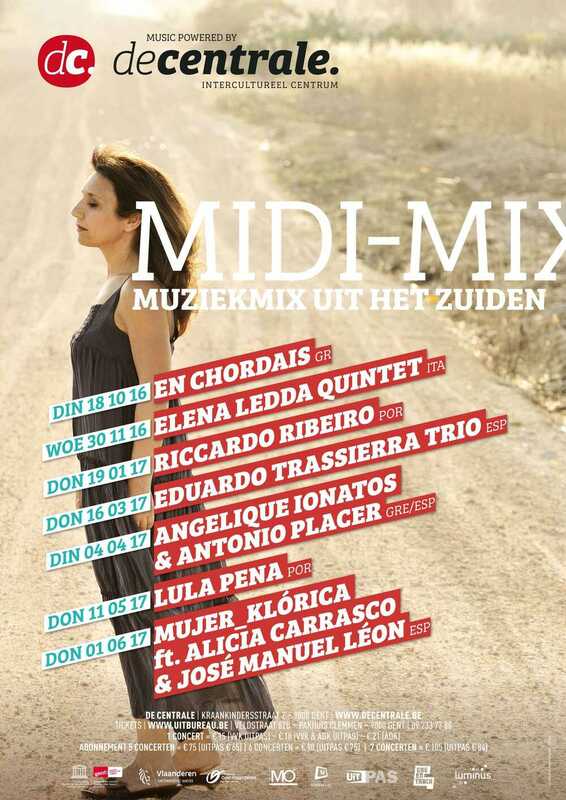 From 7 wonderful concerts focusing on the South (Le Midi) – with this season music from Portugal, Italy, Greece and Spain –you can compose your own season ticket of 5, 6 or 7 concerts. That way you will not only enjoy a nice discount on the ticket price, but also numbered places.